Schertler’s new DYN-P-P48 is a fully balanced, active, dynamic contact microphone with Class A electronics. Specially designed to reproduce the wide frequency range and complex sound qualities of the piano, the microphone features state-of-the-art, in-house developed activefiltering technology that has enabled it to be precisely matched to the sound characteristics of the instrument. This leads to more “immediate” results for the user, making it possible to achieve amazing sound with only minimal adjustments required. 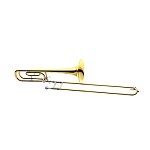 The DYN-P-P48 has a new sleek, lightweight design, making it even less obtrusive to the player. 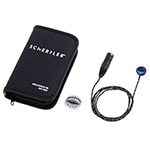 The microphone is supplied with Schertler’s own customized cable that is both robust and torsion resistant, designed to withstand the rigours of daily use while delivering best possible performance results. A balanced XLR connector enables direct connection to a microphone input on a studio or stage mixer. Suitable for use with both upright and grand pianos, the DYN-P-P48 can be easily and safely applied to even the most valuable of instruments using special adhesive putty, and positioned accordingly to capture the instrument’s best tonal qualities. 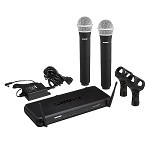 Note: This microphone requires 48V phantom power. Schertler's Arpavox has been specially developed for harpists who want a professional amplification system that still enables the natural sound quality of the instrument to shine through. 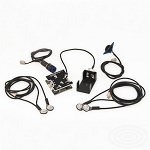 The Arpavox set comprises four RESOCOIL sensors, which are used to capture every nuance of this complex instrument, and an internal preamplifier. The preamp is powered by a 9V battery and enables phase switching between Resocoils, as well as gain regulation. The system is controlled via a volume sensitive potentiometer that can be placed inside one of the sound holes on the back of the harp. 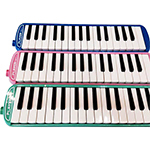 Arpavox is designed for fixed installation inside the instrument and does not involve any modification to the harp itself. The Resocoils can be fixed using a simple adhesive (we suggest a single-component shoemaker's glue). The preamplifier can be attached with velcro (supplied with the Arpavox set). The system enables players to perform on loud stages and still hear themselves while blending into the overall mix. 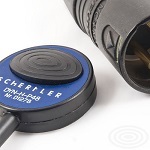 Schertler’s new DYN-H-P48 is a fully balanced, active, dynamic contact microphone with Class A electronics that offers a practical, high-quality solution to the challenges involved in miking a harp. Specially designed to accurately reproduce the full range of the instrument with both clarity and balance, the microphone features state-of-the-art, in-house developed activefiltering technology that has enabled it to be precisely matched to the harp’s sound characteristics. This leads to more “immediate” results for the user, making it possible to achieve amazing sound with only minimal adjustments required. 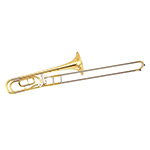 The DYN-H-P48 has a new sleek, lightweight design, making it even less obtrusive to the player. 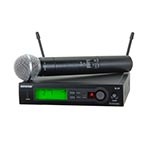 The microphone is supplied with Schertler’s own customized cable that is both robust and torsion resistant, designed to withstand the rigours of daily use while delivering best possible performance results. 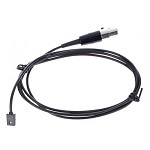 A balanced XLR connector enables direct connection to a microphone input on a mixing console, as well as to a full range amplification system. The DYN-H-P48 can be easily and safely applied to even the most valuable of instruments using special adhesive putty. 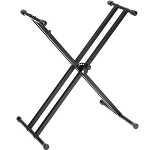 Suitable for use on a range of harps from full size classical models to folk instruments, the microphone can either be positioned on the resonance case or on the head of the harp itself. Note: This microphone requires 48V phantom power.